Really, the readathon has been over for many hours but this is the first time I've been home for more than a few minutes! We had church this morning and then drove to a family event. The readathon was great for me this time around! 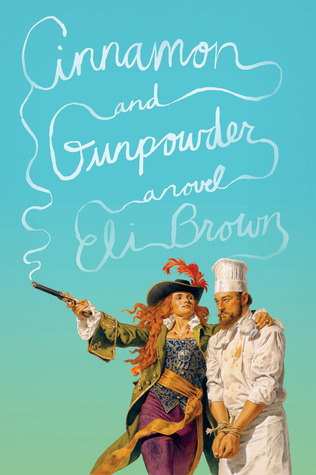 I finished two books and a graphic memoir, and listened to a few chapters of my audiobook, Cinnamon and Gunpowder. 1. Which hour was most daunting for you? I don't know that I would call it daunting, but I tend to bow out around 17, since I have to be a functioning human being at church on Sunday morning. 2. Could you list a few high-interest books that you think could keep a reader engaged for next year? The March graphic novel was a great quick read! 3. Do you have any suggestions for how to improve the Read-a-thon next season? Nope. As always, the organizers are awesome! 4. What do you think worked really well in this year’s Read-a-thon? Pretty much everything. It's so fun to see everyone so excited about reading and talking books. 7. Which book did you enjoy most? I am pleased to report that all three books were fantastic. 9. How likely are you to participate in the Read-a-thon again? What role would you be likely to take next time? I will definitely read and would love to help out in the fall! It's time to take a quick reading break and chat about what we're eating, blogging, and reading! Since we last chatted, I listened to two chapters of Cinnamon and Gunpowder while making dinner. I read March, volume 1 and finished Exit West. Now I'm reading book #3! Up next: It's bedtime for little people around here, so I've been a bit busy. But now that everyone is tucked in, it's time to get back to it! 1. What are you reading right now? I'm a few chapters into The Baker's Secret by Stephen Kiernan. 3. What book are you most looking forward to for the second half of the Read-a-thon? I'm really enjoying The Baker's Secret so far. I may try to sneak in some short stories or poems, though! 4. Have you had many interruptions? How did you deal with those? Well, that's not a very nice way to talk about my kids! But really, it's been ok. I get as much reading done as I can and don't stress about also doing things like giving baths or making another round of toast. 5. What surprises you most about the Read-a-thon, so far? Nothing yet, but we still have 12 hours to go! So friends, how is your readathon going? What is your favorite book so far? Hello fellow readers! How is it going? Have you read a million books? Finished a whole pot of coffee? I haven't finished any books yet, but I am close to finishing Exit West. I think I will break things up with a graphic novel before reading the last chapters. Drinks: A few glasses of water. No coffee yet, but the time will come! Up Next: Little girl is due for a nap soon and then big brother is going to run some errands with dad. I'm going to practice my music for church tomorrow, throw in a load of laundry while listening to my audiobook, and then get back to reading! How is your readathon going? You know what's really fun? When you cheekily write the night before that "the Readathon waits for no woman who oversleeps" and then you accidentally leave your phone on silent. Well, an hour and half into the thing I am here, armed with book #1 and a tall glass of water. Let's get started! 1) What fine part of the world are you reading from today? I am in New Jersey, sitting in my bed right now since the kids wanted to take part in the cherished Saturday morning cartoon tradition. 2) Which book in your stack are you most looking forward to? 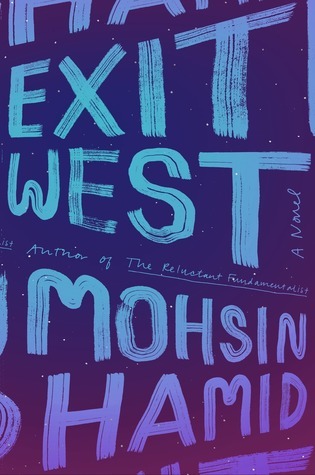 I'm starting off with Exit West by Mohsim Hamid and I've heard great things! 3) Which snack are you most looking forward to? When I get a little more awake, I bought some blueberry muffins for a happy breakfast. 4) Tell us a little something about yourself! Freelance editor, singer, baker, introvert. 5) If you participated in the last read-a-thon, what’s one thing you’ll do different today? If this is your first read-a-thon, what are you most looking forward to? I have done many readathons. I don't know that I will do anything differently, but I have learned not to stress and see where the day and the books take me! Sleep is important, too. My little guy decided to wake us up extra early, so I was showered and breakfasted and just waiting anxiously for 8:00 so I could begin reading. Unfortunately, that means I probably won't last very long tonight... Enjoy the rest of your readathon! Sleep is great, especially when you have little ones who like to interrupt it! I don't usually stay up that much later during Readathon. I just can't do it with church on Sunday morning! Aw, sounds like so much fun! I did it in the fall and had it on my calendar for this weekend, but I ended up going to the beach with my two closest friends instead. As my husband just said, I did the talkathon instead of the readathon! Glad you enjoyed it and had such a productive and fun day! That sounds like a wonderful way to spend a day too!